Business happens when it happens—not only at scheduled meeting times. Be sure your people can connect with each other quickly and reliably, from across the building or across the globe, driving increased productivity and a competitive advantage. Being competitive and improving customer service are critical to your business success. You need a competitive advantage to drive business growth and performance. We understand that the way you do business is changing. This means your communications technologies also need to easily adapt to change. Our business VoIP (Voice over Internet Protocol) service can help you do just that. We offer a broad range of IP-enabled features that help you control costs, increase productivity and improve the customer experience. If you want to start saving on your business call costs, get VoIP into your vocabulary. 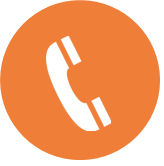 With VoIP, all your business calls are made over your network connection, but at a fraction of the cost. Seamlessly share information and collaborate any time, on virtually any device, from nearly any location. Integrate tools for voice, data, messaging, email, conferencing, presence, and file and desktop sharing. Manage operating costs and drive productivity improvements by enabling teams to connect easily. Outsource non-core services and scale to meet changing workforce demands. SIP is a smart and cost-effective way to connect your business to the PTSN (Public Switched Telephone Network). 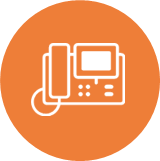 SIP Trunks are IP-based connections allowing you to make calls from existing phone systems. They are highly scalable and will seamlessly grow alongside your business. So as your business expands and higher call volumes are required, you can quickly and easily add more lines and users.